This is a Tasker Tractor called "The Fox" owned by Ian Bennett which was originally a road roller but with a tractor boiler and for a while was fitted with a crane.It is no 1833 built in 1921. This is a Tasker Showmans Crane Tractor No. 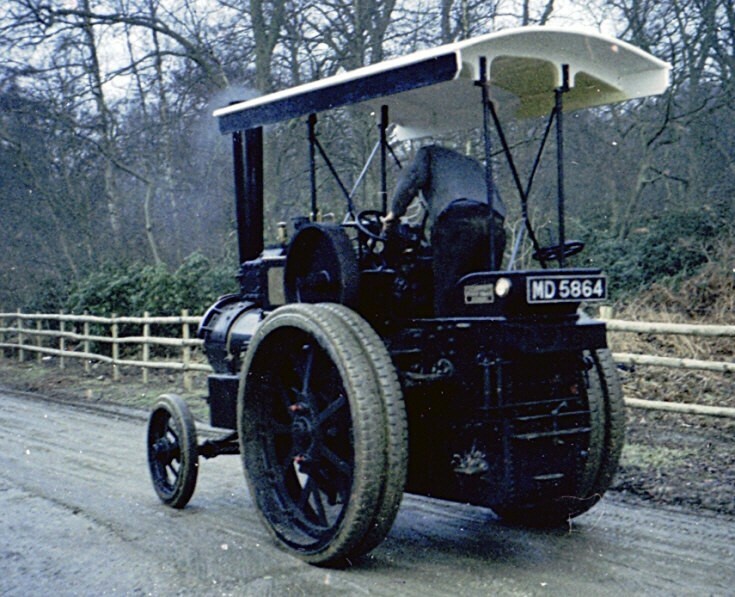 1833 of 1921 called The Fox and is a 4 nhp 5 ton three speed double crank compound that was converted from a road roller.